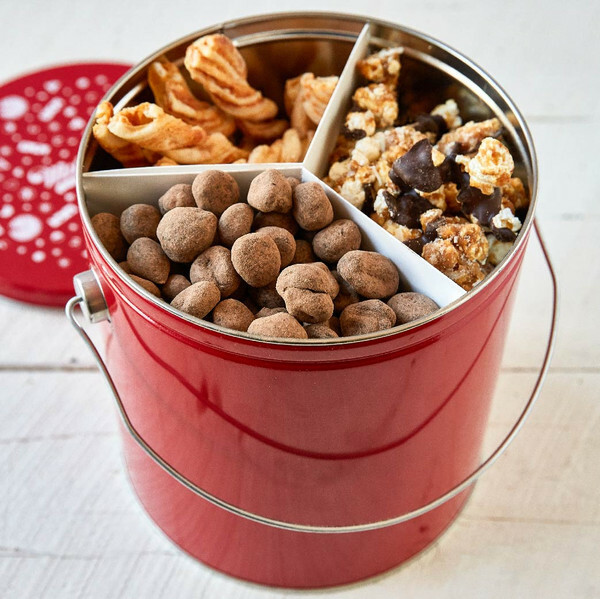 Give the person who always has snacks hidden in their drawers or under their desks all the delicious snacks they could want with the Ultimate Snack Tin. What makes this the ultimate? It brings together all the classic snacking profiles. There’s chocolate. There’s popcorn. There’s caramel. There’s cheesiness galore. Salty, sweet, savory, and scrumptious—every snack base is fully covered with this collection. Work in any office where people have children, and chances are a Girl Scouts cookie order sheet will be passed around at some point. Some people like these cookies, and some LOVE them, and for those who can’t get enough, Samoan Caramel Popcorn from The Baking Bean is the perfect gift. 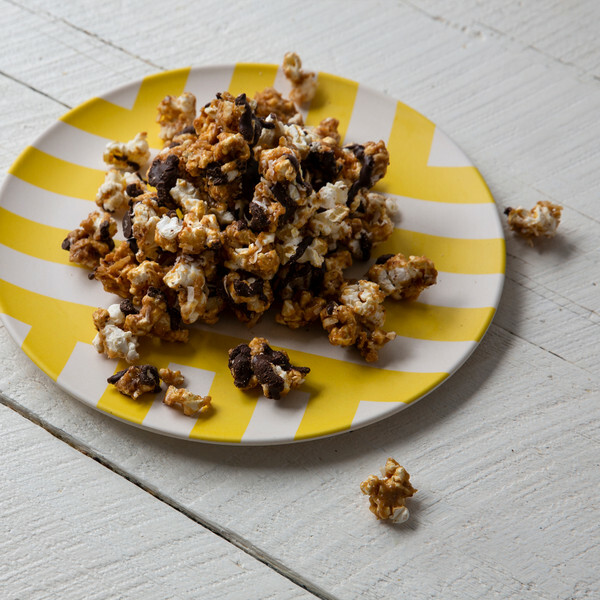 As the name suggests, this is the classic cookie reinvented: popcorn is coated in rich caramel, and paired with toasted coconut, vanilla shortbread, and drizzled with 70% Belgian chocolate. A New York transplant in the office isn’t hard to find. Maybe they wear their Yankees or Mets hat religiously, or are constantly complaining about how they can’t find good pizza or bagels in their adoptive hometowns. 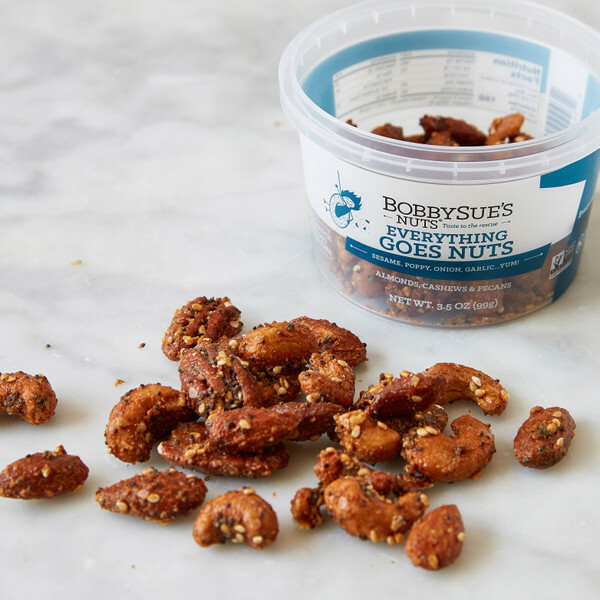 For the ex-New Yorker in your office, give them a small taste of home with BobbySue’s Everything Goes Nuts, which are equal parts sweet and savory, and coated with the same everything mixture (sesame, poppy, onion, and garlic) that adorns bagels across the city. Very few shows have captured people’s attention quite like UK-based and Netflix-distributed “The Great British Baking Show“. We’ll save you the details, but safe to say its a baking competition where everyone is exceedingly nice to each other, and there’s most certainly someone in your office that’s obsessed with it. For that person, we suggest Baked Boxed Baking Mixes, which will allow any baker the ability to make upgraded baking classics (with unexpected ingredients such as rye flour in the chocolate cake). For the person in your office with the Instagram that’s mostly food pictures, our Burrata Lover’s Collection will satisfy their foodie cravings. Burrata is the It cheese: It’s delicious. It’s eminently photogenic. It goes well with everything. 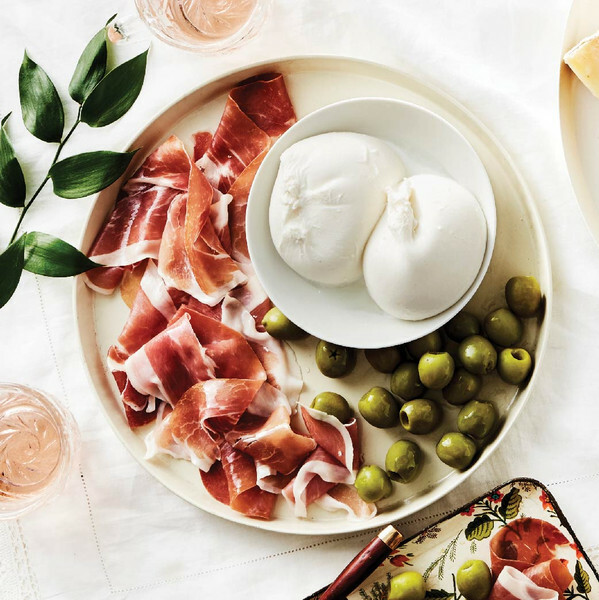 And here, it brings a luscious, ribbony texture to a trinity of Italian classics:, alongside buttery, vibrantly green Castelvetrano olives and silky sheets of ruby-red Prosciutto di Parma. There’s always an office Brand Ambassador — a person who is trying to get everyone else on board with the new product (vitamins, apps, subscription boxes, etc.) they just can’t live without. 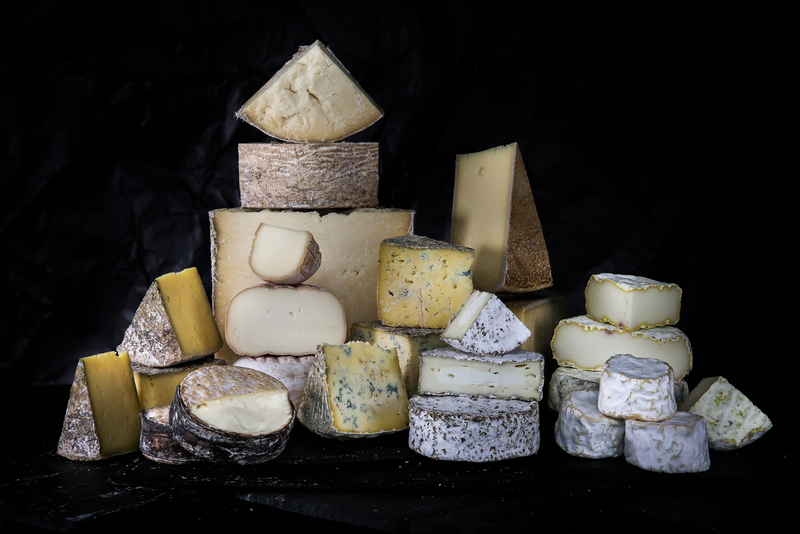 For the person who prides themselves on discovering new things, give them something you can only get from Murray’s: our Cavemaster Reserve cheeses. From the gooey, spoonable Greensward to the best selling Alpine-style Annelies, you can enjoy being the discoverer for once! If you’re looking for a gift that will pull out all the stops, any one of our Monthly Clubs is here to make you look good. 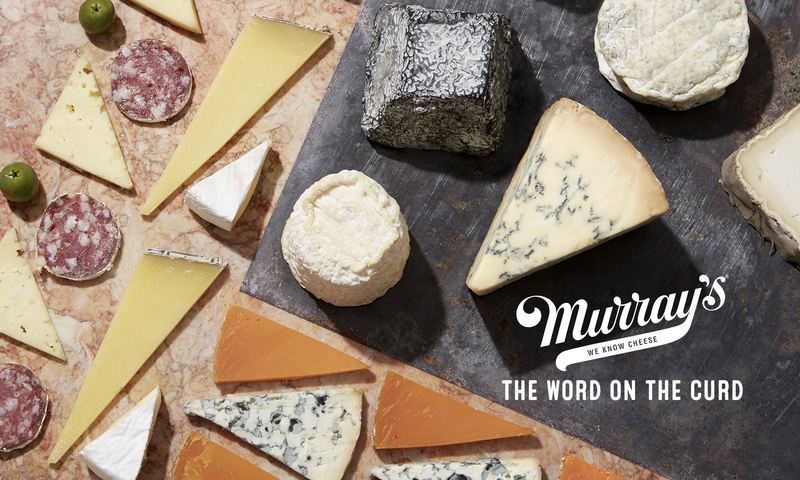 Our signature clubs bring the best of Murray’s Cheese to your lucky recipient once a month for 1, 4, 6 or 12 months. 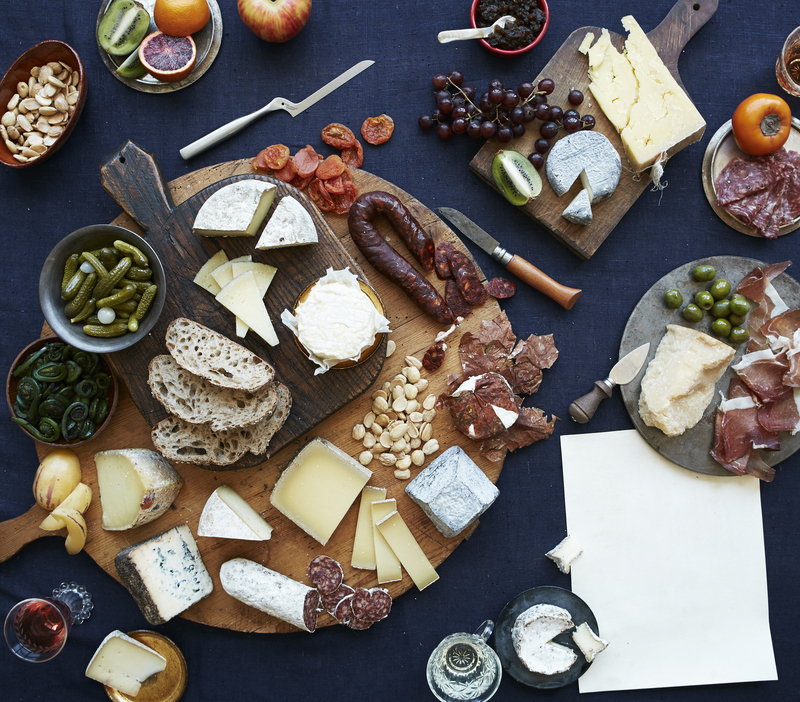 Choose from the Cheese of the Month, Meat & Cheese of the Month, Pair of the Month or Meat of the Month clubs and rest assured that your coworker will be eating well for months to come. Membership also includes Murray’s monthly newsletter with detailed tasting notes, cheese profiles, histories, and pairing suggestions.